Similar to when I wrote 7 things the FFA must do to rule the Universe, the NBL is never going to rule the Sports Universe, unless there are some drastic geo-political changes or a zombie apocalypse (accompanied by increased zombie interest in Basketball) or some such other occurrence. The NBL was going gangbusters in the 1980s and 1990s but has lost significant ground to other sports ever since. The NBL is very nearly headed towards extinction so the latest move by Larry Kestelman to purchase a controlling stake in the NBL is the first positive move in some time (detailed here and here). Whether or not this leads to a bold new era in Australian Basketball remains to be seen. Plenty of scepticism (not from me though) around this being the latest rebranding which will amount to nothing. He certainly has some good ideas with plans to cash in on proximity to Asia and the rising popularity of Basketball in the region in general. 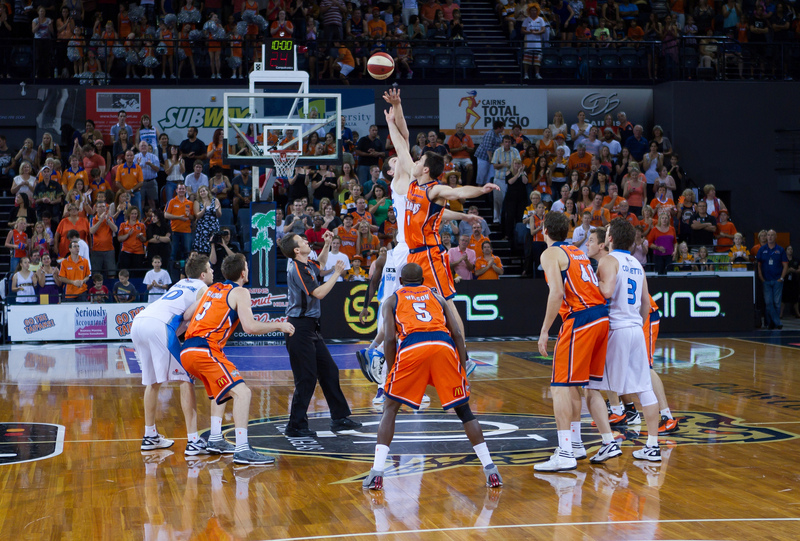 Here are 7 ideas which might get the NBL on its feet again. Australia has never had a greater presence in the NBA than it has now. Of the 15 players born in Australia to play in the NBA, 7 were on an active roster at the end of the season just finished (Andrew Bogut (Golden State Warriors), Matthew Dellavedova (Cleveland Cavaliers), Dante Exum (Utah Jazz), Joe Ingles (Utah Jazz), Cameron Bairstow (Chicago Bulls), Patrick Mills (San Antonio Spurs) and Kyrie Irving (Cleveland Cavaliers)). Aron Baynes (San Antonio Spurs) was born in New Zealand but plays for the Australian team, a bit like Kyrie Irving was born in Australia but plays for the US. Not since Luc Longley played centre for the Chicago Bulls has Australia had such high profile players as Andrew Bogut, Matthew Dellavedova, Patrick Mills and Aron Baynes playing for the NBA championship. Bogut and Dante Exum also made serious waves around draft time as will Ben Simmons and Thon Maker when they hit the draft next year. Apparently Australians are the greatest overseas subscribers of NBA League Pass as well so there’s that. The bottom line is that the NBL needs to do everything it can to leverage off overseas stars like Andrew Bogut to promote the sport in Australia. He helps the local game out every time he can and is a great ambassador for the sport. I’d be tapping his shoulder as much as possible if I was the NBL. This is a difficult one because the NBA season is so long it is hard to ask NBA stars to continually back up for international games. Our NBA stars (and for that matter stars from other leagues) often make themselves available for the Boomers. The test series against the Tall Blacks is a good case in point. Andrew Bogut, Patty Mills, Aron Baynes, Matthew Dellavedova, Dante Exum, Cameron Bairstow, Ryan Broekhoff (Besiktas, Turkey), Brad Newley (Gran Canaria, Spain), Chris Goulding (Zaragoza, Spain) and Nathan Jawai (Andorra, Spain) have all made themselves available. The FFA has leveraged off the Socceroos and the World Cup to increase interest in Football for years. The NBL needs to do the same thing. Even if it is low volume high profile. Just get something going on every year. The NBA Development League is the feeder league to the NBA. Most NBA teams have a D-League affiliate. 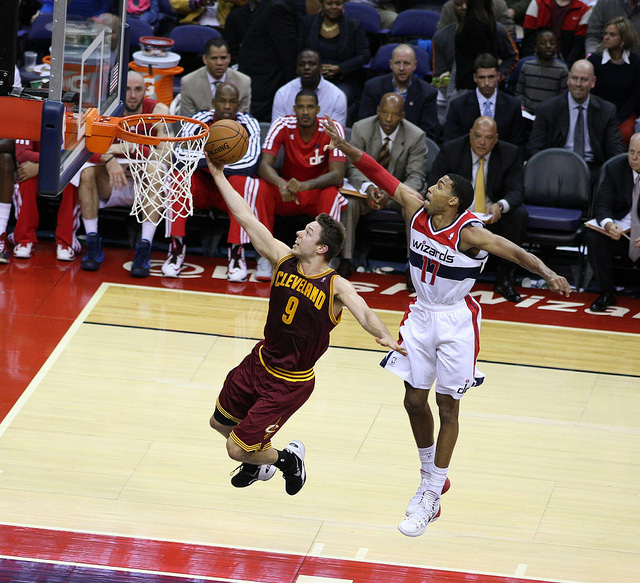 Developing draft picks and unsigned free agents are regularly called up to the NBA and returned on a weekly basis. The NBL should seriously consider a closer relationship with NBA teams including NBL clubs acting as affiliates especially given the correlation with the US season. This would give NBA teams further opportunity to develop their draft picks and non-playing free agents and in turn raise the standard of play in the NBL. It would also enable easier scouting of Australian players and create a stronger pathway for juniors. The NBL should be doing everything it can to incentivise (including lobbying State and National Government to contribute) towards American college and NBA teams taking games to Australia in the pre-season, regular season and off season. There is an appetite for Basketball in Australia for the right product. NBA League Pass subscriptions tell us this. Andrew Bogut has certainly mentioned this on a number of occasions. There is no reason why the Golden State Warriors, San Antonio Spurs and Utah Jazz (with the Australian interest at a fever pitch with these teams involved) couldn’t play a round robin as part of the NBA regular season across the week. The schedule would have to be modified, however, given the NBA is extending its global reach there is no reason why this couldn’t be organised. The NBL should be front and centre highlighting the product it is providing to complement the games. Other sports do it. Why do you think the Broncos were playing the Storm in Melbourne after the State of Origin match. American College teams came out to Australia much more often during the 80s and 90s. It is rare these days but would provide much needed interest in the game if done properly. Bringing those kinds of games to regional centres with added promotion could help the game in general as well. The NBL absolutely needs a team in Brisbane. Brisbane is the third biggest market in Australia and the Bullets were a very successful team in the Brisbane market for many years across the 80s and 90s. Names like Brian Kerle, Leapin Leroy Loggins, Ronny ‘the Rat’ Radliff, Cal Bruton, Shane Heal and Derek Rucker were household names in Brisbane during this period of time. Since the franchise shut down the NBL has been the poorer for it. Absolutely essential that the NBL has a presence in Brisbane. It would be wise to resurrect the Bullets. A team in Canberra again wouldn’t hurt either. Darwin and Hobart are smaller markets but should be investigated again too. Cairns has shown that a successfully run boutique regional team can survive and add colour to the competition. This is absolutely essential and they should be definitely wining and dining SBS because SBS has given Football a rails ride when no-one else would touch them. Getting a Friday night Football partner to compete against the A-League is a must too. The NBL coverage has been good but a bit sporadic and rarely in prime time. I’ll watch it for a while if I’m up at a million o’clock but I’m generally not. If the NBL wants kids to watch the game they are going to have to get more prime time coverage. With all this stuff I’m not telling the NBL anything they don’t already know and are trying to do already but they might need to package the television coverage themselves and absorb the cost until it becomes more popular again. This is serious pie in the sky stuff but why couldn’t Australia have a NBA franchise? Like the PNG Hunters in the Intrust Super Cup as a precursor to a NRL bid, perhaps we could start with a franchise in the D-League. Can’t see this happening in my lifetime and would no doubt kill the NBL dead as a door nail but why can’t we aspire to something like this. Definitely need a Champion’s League competition and while any interaction with the NBA seems like a pipe dream Asia is not out of the question and maybe Europe would even consider a small end of season Champion’s League style comp. PNG Hunters 68 Central Queensland Capras 4. Leapfrogging into 2nd place on the back of 9 in a row. Doing everything they can to make sure there is a 3rd Intrust Super Cup appearance for the Hunters next season. David Simmons – Tries – 4, Run Metres – 156m, Try Assists – 1, Tackle Breaks – 7, Tackles – 4, Offloads – 0, Line Breaks – 3, Line Break Assists – 1, Errors – 0, Penalties Conceded – 0 and Old school winger that doesn’t make the headlines – Yes. Mitch Rein (Dragons) for Kierran Moseley (Titans) – Upgrading for the final push. John Sutton (Rabbitohs) for DCE (Sea Eagles) – Ditto. This entry was tagged Andrew Bogut, Australia, Basketball, General Sports, NBA, NBL, New Zealand, NRL, PNG, PNG Hunters, Queensland Cup, Rugby League. Bookmark the permalink.